One of the most common conversations I have with clients is regarding their content marketing localization strategy. Localization is a complex process in many ways, for me it relies on a deeper understanding, not just of Chinese consumers but also of the wider digital market eco-system that is being leveraged. Content Marketing needs to be localised. 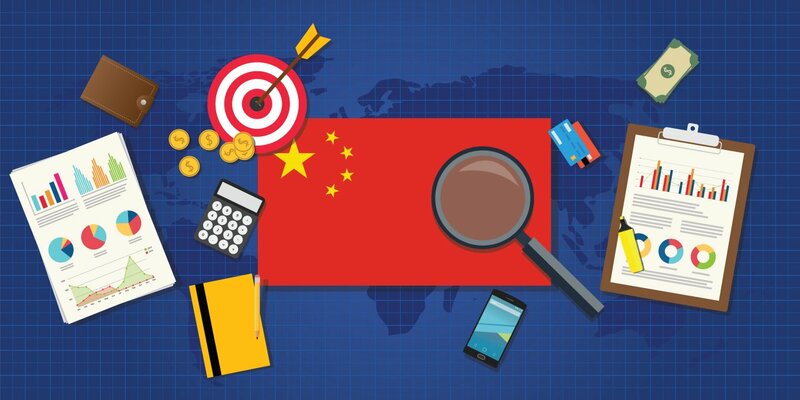 Adapting a concept for the Chinese market is not a single process it varies greatly depending on different platforms being utilized, formatting, specific media strategy types, the target audience & products / services in question. So let’s dive into the core elements and let’s dig up some examples. Localizing your content strategy starts with an intelligent selection of local platforms that fits your sector, audience demographic, KPI’s & end goals. 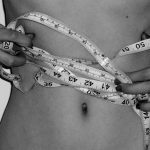 Is your aim to drive sales? Or are you primarily focusing on branding? Are you looking for a prospect/lead generation strategy? Project needs dictate the platforms best suited in each case & at each specific stage. Selecting local channels will dictate the type of content and strategy you engage in, for Weibo for example you have a ‘buzz platform’, an open network where users can see posts from anyone. WeChat however is more close-knit community based as a branding tool or portal for information for prospects. Smart Channel Selection begins with understanding the different Chinese eco-systems, broadly there are two when we consider E-Commerce for example. 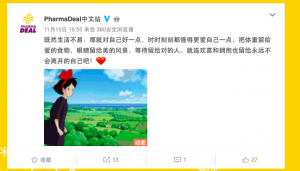 Alibaba’s platforms including Tmall & Taobao are connected with Weibo as the E-Commerce giant has a stake in this platform. Inversely WeChat & Jing Dong are outside of this and have an alternative e-com infrastructure with WeChat stores & JD being leveraged by a WeChat strategy. This is why it’s vital to consult on the market before entering in order to understand how to drive qualified traffic and increase sales conversion. Consider also factors such as Chinese Business Licencing, certain platforms allow for set up without this whilst others require a CBL.. Official protocol for platform set-up should be followed to avoid policy & regulatory issues for each specific channel. 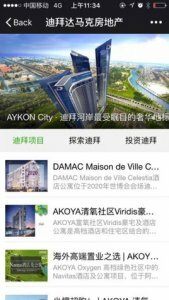 For a player such as DAMAC developing their name as a portal for Chinese investors is very important, they therefore choose WeChat to build a community around news & insights. This seems like an obvious point but is important to bear in mind. 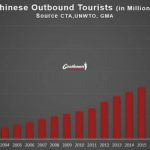 Your marketing in China can be run largely independently of wider operations & strategies, indeed it must be. With China’s separate and unique eco-system ring-fenced by the Great Firewall all content not only has to be in Mandarin but also formatted and amended for Chinese platforms, searching algorithms & keyword sets in Characters & Pinyin. The implication of this is that a China strategy does not have to rely on your existing marketing material. New keywords, banners, creatives, logo’s, visuals etc can be created to tailor your offering to the local demographic. Outside of this eco-system content will most often not be visible or be considered highly relevant. Compartmentalising China for brands can help with tailoring messages and images whilst remaining true to your core values, key messages & aesthetic. This is why brands need to build China teams and utilize local agencies on the ground. Your Chinese Website for example is important to consider. Having a Chinese translated version on a multi-lingual main site is actually not the solution. Firstly this is a nightmare in terms of both SEO/SEM, ranking your website on Baidu(China’s largest search engine with a 75% market share) is an important component of any web development project. Typically, a website will need to be audited & optimized for Mandarin Keyword Searches so building a dedicated Chinese Website is effective. This allows the site to be built as a vehicle for visibility in China’s unique eco-system, especially for keyword searches on Baidu. 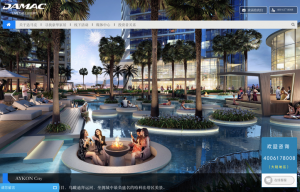 DAMAC have a separate .cn domain for their China operations, this allowed for a back-end audit for optimization in terms of meta tags, titles, keywords & descriptions. A client will ask in-depth questions about their target demographic, the honest answer I’ll give is that I, as a White, British Male, am not your target. You need to be asking these questions to them. Pre-market survey’s & reports allow you to analyse your target through interviews and studies of this target’s engagement with competitor’s similar offerings. This allows you to better situate your product or service within your specific sector. Never under-estimate local competitors, the argument that international brands are automatically bumped up the pecking order for the Chinese consumer is extremely outdated. 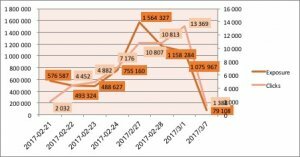 Pre-Market Analysis allows you to look at how such domestic firms are communicating, what can you learn from them & what is your point of differentiation? Impressions are of little worth without a strong, localized brand to achieve that exposure. Having said this marketing has to be grounded in both quantitative data and the more qualitative process of building a brand, something less tangible to measure. Over time you will learn an intense amount about consumers behaviour on platforms, analysis and feedback from both your China agency and the consumer can make or break a campaign. This involves by definition a high degree of flexibility when it comes to strategy, what are your consumers responding to positively, what is driving the highest engagement and conversion rates and how can you develop that area. It’s an on-going conversation based on figures in terms of impressions, click through rates and engagement levels (comment number, share rate, store conversion rates etc). Agencies can use systems such as KAWO for analysing engagement rates on larger scale campaigns, it allows less for human error and focuses on what keywords and content types are actually driving the highest engagement rates. It’s super-smart. Market reports with this data should be presented on a monthly or bi-monthly basis that provide transparent and meaningful analysis with suggestions on how to move forward. When it comes to Media Buying, click-through rates on ad space have to be analysed in relation to conversion rates on stores & websites. Sticking funds on DSP without a strategy for placement or the right banner design can simply waste budget. Data from a sample DSP campaign in terms of exposure and click rates, exposure spiked first and then led to increased click through rates. It’s a fascinating topic, you’ve opened a WeChat/Weibo account.. And now what? You’ve read a lot of hype on the vast number of MAU’s and perhaps presume higher engagement rates will come naturally. WeChat & Weibo campaigns take a lot of time & energy to get right in these highly competitive environments. 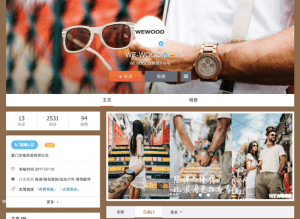 The creatives & account design comes first (see below for WEWOOD Weibo example), accounts should be strongly branded with a consistent colour pallet and aesthetic. You can see that the top scrolling bar features existing WeWood designs coupled with stylised Mandarin Character text over-layed. The difference is in the detail. Weibo as an open network can lend itself to higher engagement rates with the right strategy, WeWood’s follower number is not immense but their engagement rate on posts is notably higher than many supposed larger accounts. It’s all about how you elicit communications through the right trending topics, this is why a local team is important, they need to have their finger on the pulse of trending topics in your particular sector. WeChat accounts are often a problem with brands using the standard template with no point of differentiation, building a mini-site in HTML5 within WeChat for a branded, more quality user experience is one solution. Optimal Mini-Sites feature 8-12 pages and can contain key product range introductions, relevant information, brand values etc. Users swipe to move through the pages. 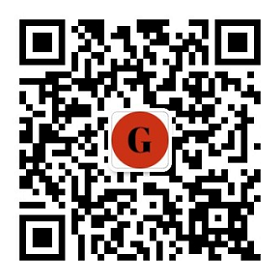 The primary purpose of a WeChat Mini-Site is to develop the brand identity & how you communicate this on China’s largest and most integrated social network. Then WeChat is often an issue for brands. Why? Because it’s a closed network, regardless of the user number without building a following content will not be visible. The solution here is to integrate and share posts into groups and animate conversation in these groups. Engagement on WeChat is hard won, it’s not a ‘magic bullet’ in terms of results. 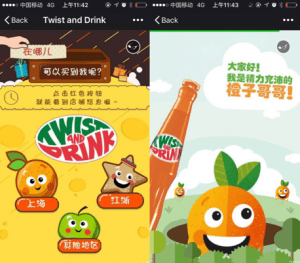 Twist & Drink Utilize HTML5 Design on their official WeChat account for an improved user experience. There has been a lot of hype regarding Influencers, there’s always a more fashionable topic, but KOLs have a high degree of relevancy as part of a holistic campaign. KOLs allow brands to tap into established communities of impressionable followers. KOL selection & research is therefore the number one priority, which local figure best matches your image, values and message? It’s a fast paced and changing market. Then the choice of platform is important, there are many streaming platforms outside of Weibo (typically associated with Influencers) that can actually drive higher engagement rates. Xiaohongshu (RED) is another C2C platform where KOL posts are both lower cost & still allow for targeted consumer reach on this consumer recommendation platform, the epitome of China’s ‘social commerce’ movement. Posts always should be curated for KOL and the comments monitored for activity. A KOL cannot be expected also to be your customer service rep. Ensure you ask questions about how KOL posts are being animated & monitored. 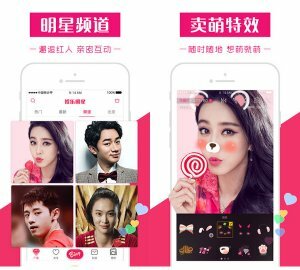 Huajiao – One of the most accessible APPs for Medium Tier Kols, typically more female led content. Localized content is nothing if it’s not visible. A powerful way of doing this is through organic ranking on Baidu based on keyword searches. In order to achieve this content actually has to link to selected keyword sets for optimization. It’s not just written to be engaging, but written to be visible & optimized. 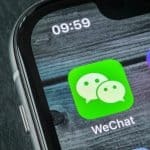 Searching Algorithms are not just confined to Baidu of course, WeChat has a search function (albeit far less developed) whilst cross-border platforms of course have searching bars for both brand names and product types based on sector. Weibo has a surprisingly developed ‘discover’ section where trending news in specific categories is up-ranked. You can also ‘pay to play’ by spending to rank highly on Sina Weibo’s category based news feed. Remember Sina Corp themselves are one of the major news sources in Mainland China. 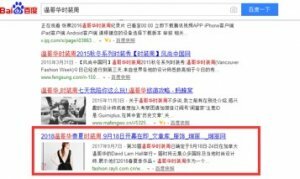 Vancouver Fashion Week content is ranked highly in the organic results on Baidu; a trustworthy form of visibility. 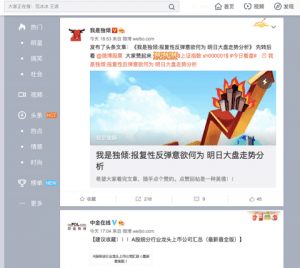 Weibo is a great ‘buzz’ platform, as an open network it’s easier to increase engagement rates and rank content in the ‘discover’ section based on different project categories, if a project is taking a news led approach to branding & exposure this can be effective. This, for me, is the next large-scale marketing trend in China. 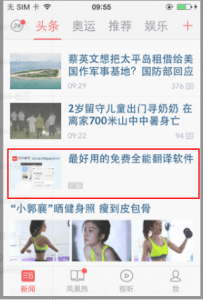 News APP’s such as Toutiao have been widely reported on (really a content aggregator), but also more ‘serious’ news APP’s allow for powerful advertising options. Aggregation of news allows for users to select categories of interest, hence a more targeted ad based strategy with users pre-selecting the news they want to engage with in their feeds, also by extension paid promotions. News APP’s are a growing phenomenon with ‘advertorials’ (ad articles) allowing brands to increase exposure in a news worthy context. In addition lead generation via these APP’s is very effective, ads can directly link to HTML5, in-built contact forms to take prospects contact details and initial message. A powerful solution for growing your email database, follower number or for prospective customers to pass onto a sales team. A news led approach lends itself to PR & article publication of content. Content becomes highly localized when it is featured in local news based sources, it’s not just coming from your official sources. To conclude this is complex yet lucrative market, those who stand to gain the most have developed a smart communication strategy with the right long term partner in Mainland. You have to remain flexible and open minded based on a continual feedback loop, also remember Rome wasn’t built in a day. If you’re new to market it can take time to build a brand & traction, step by step. If you’re looking for a long term partner & have a serious project in mind don’t hesitate to get in touch for an initial consultation. 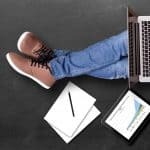 PreviousKOL Marketing: Effective or not ?